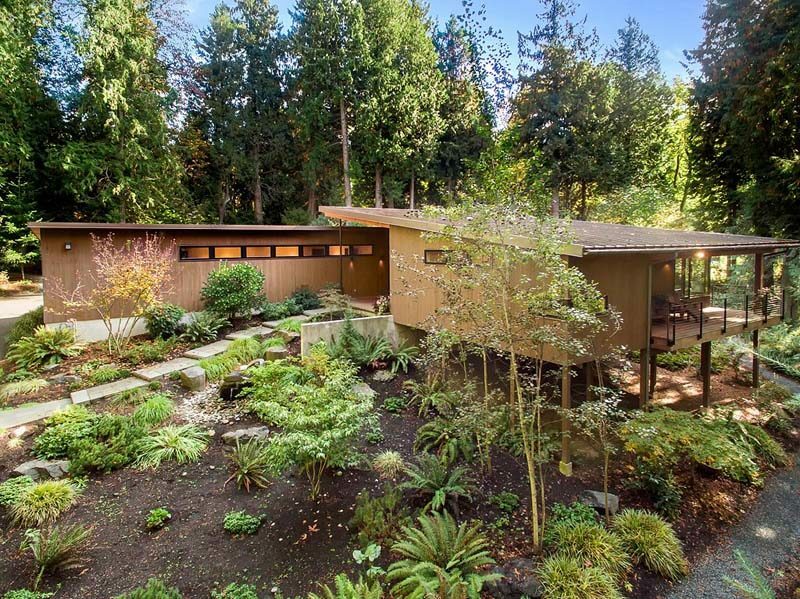 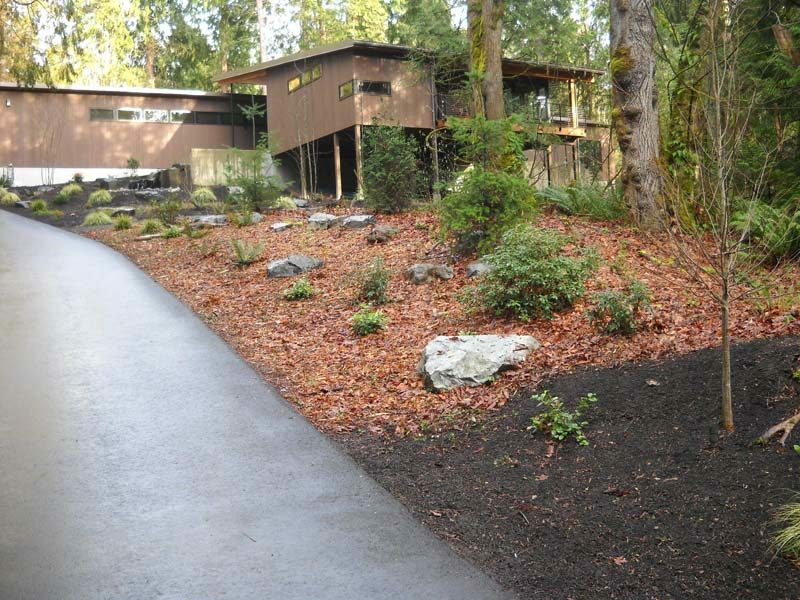 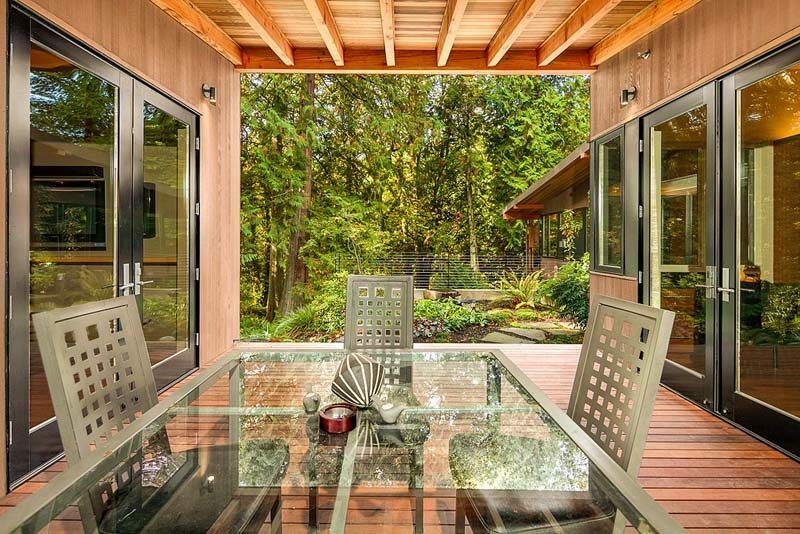 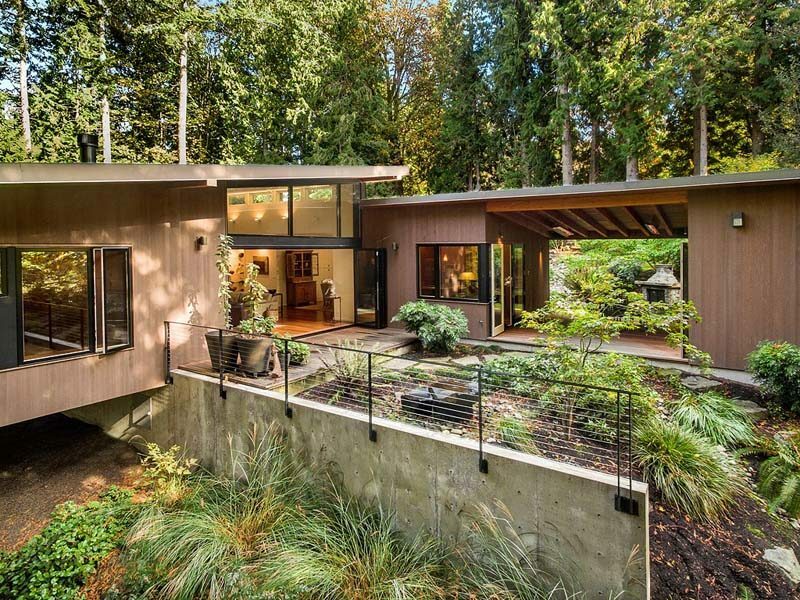 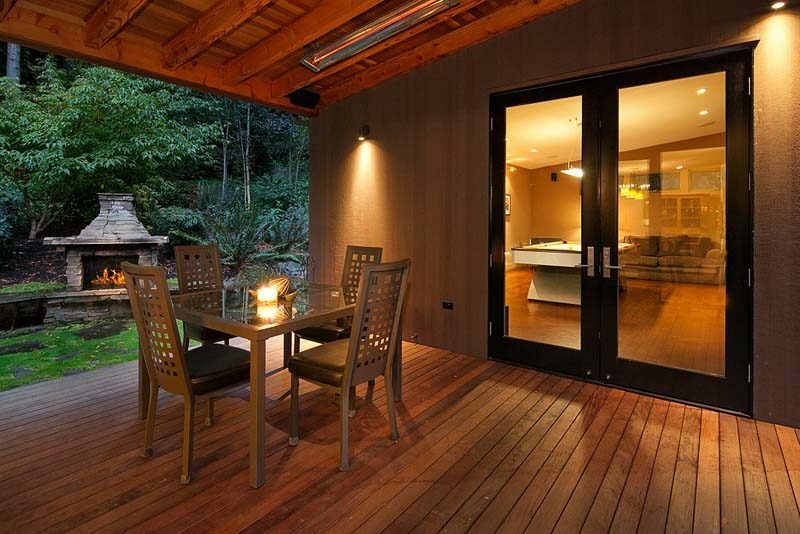 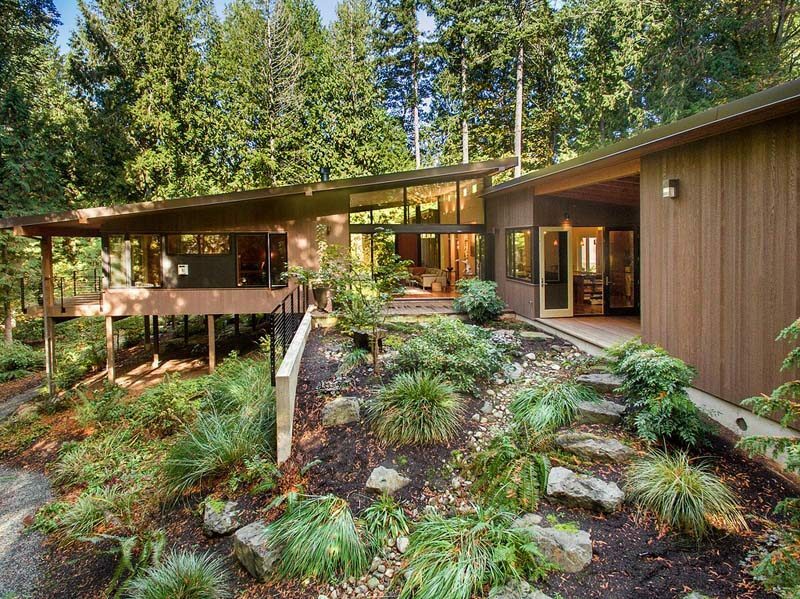 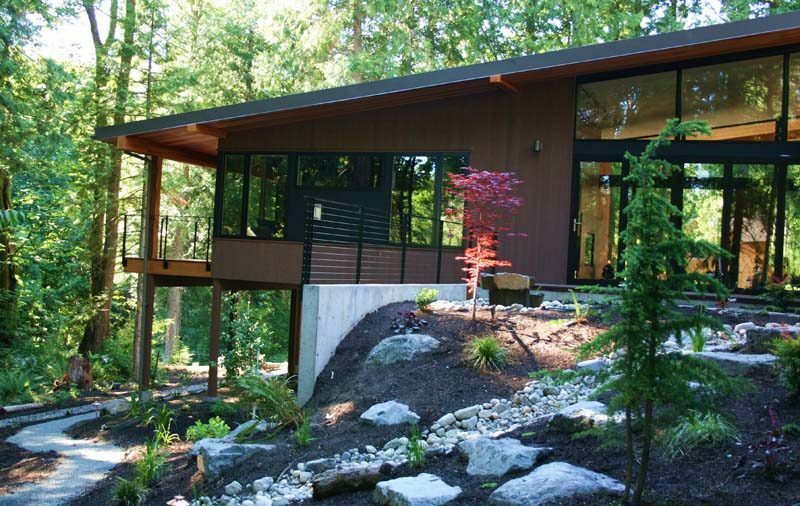 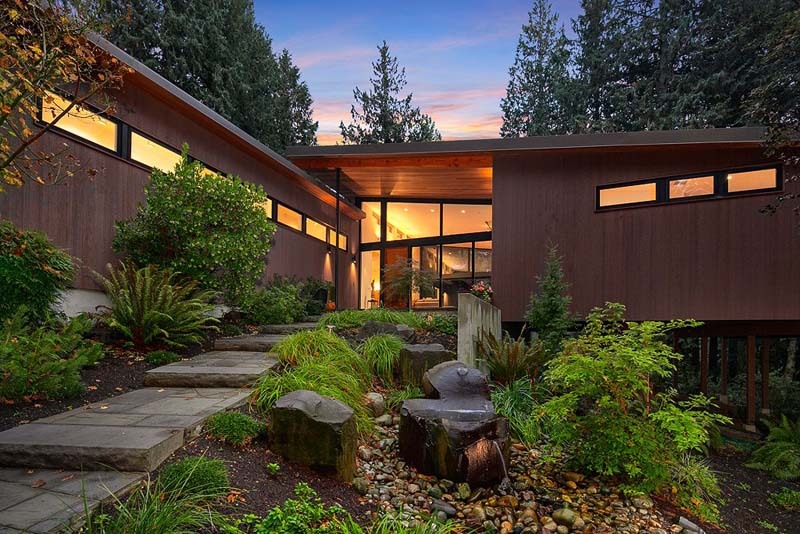 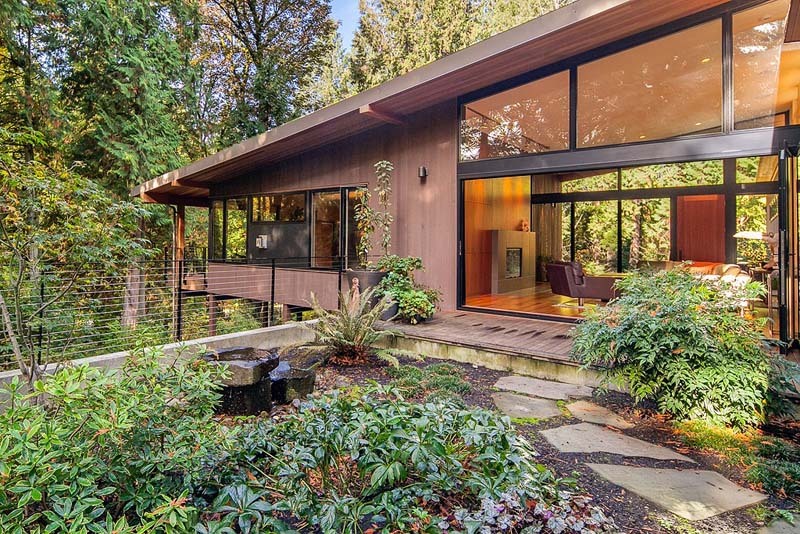 Deep in the woods on the Sammamish plateau is a new modern home tucked into a hillside. 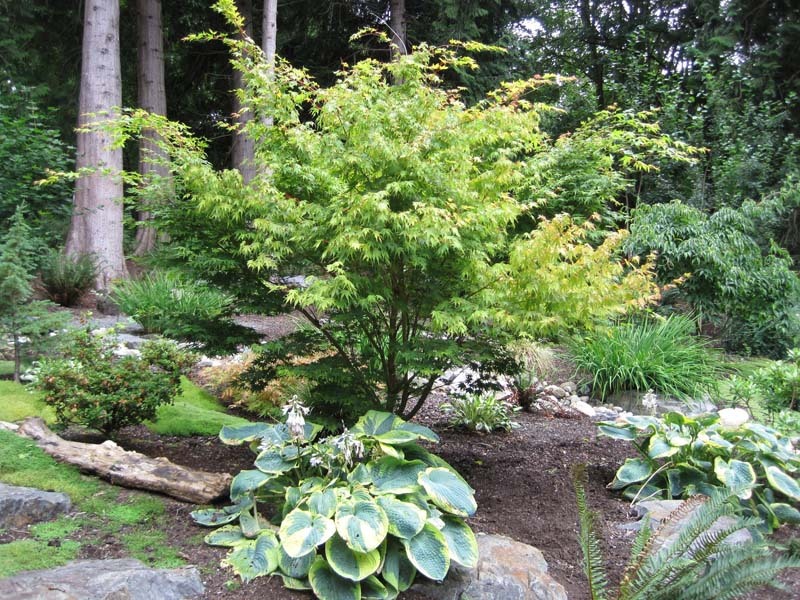 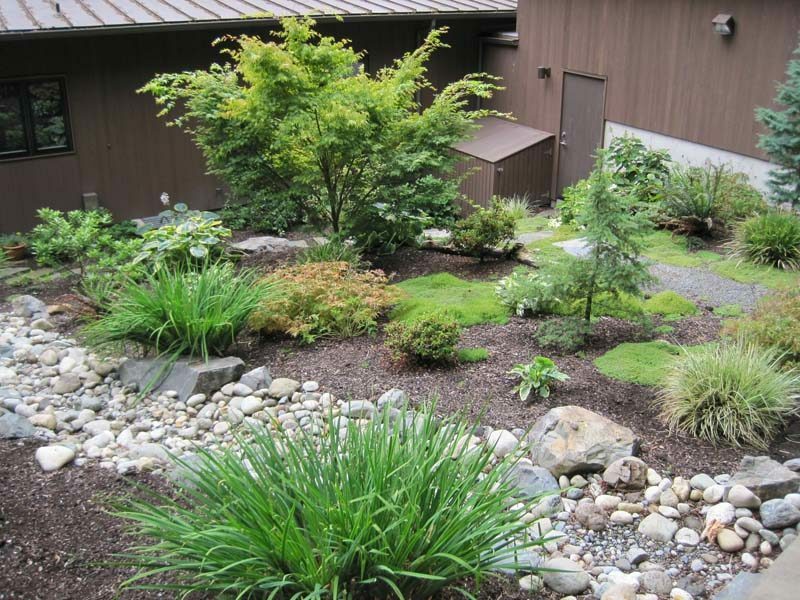 The plantings were designed to blend in seamlessly with the native growth and transition into a low maintenance, deer resistant landscape with seasonal interest. 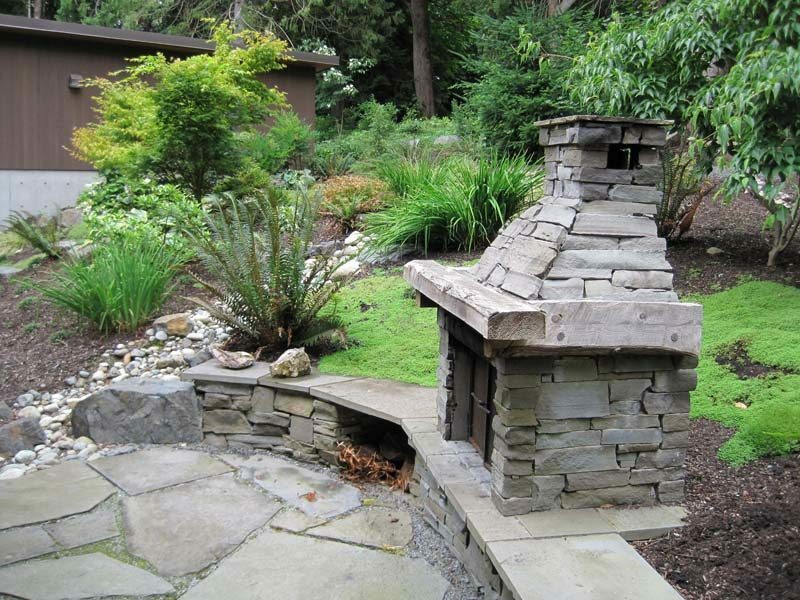 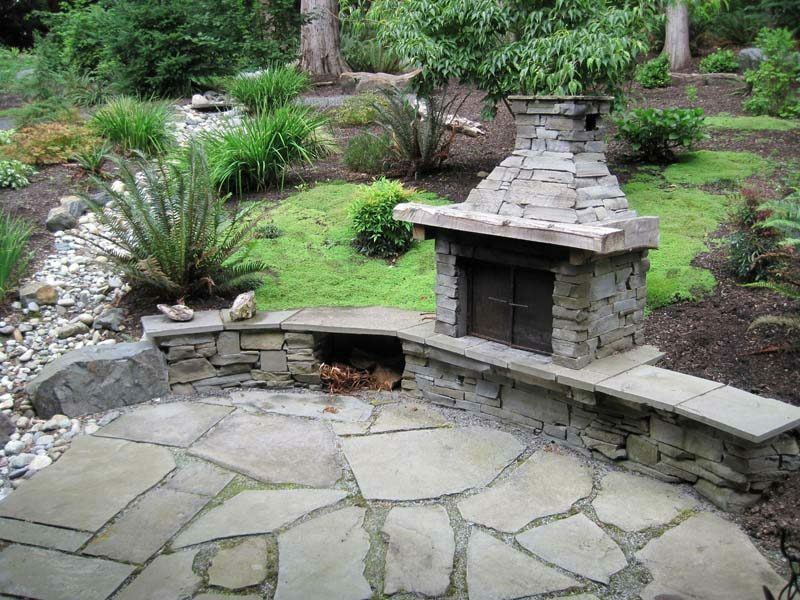 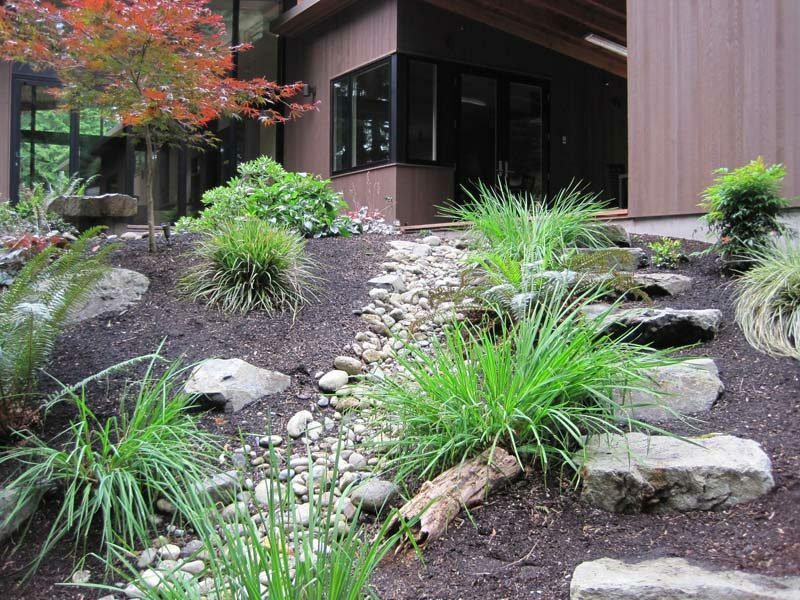 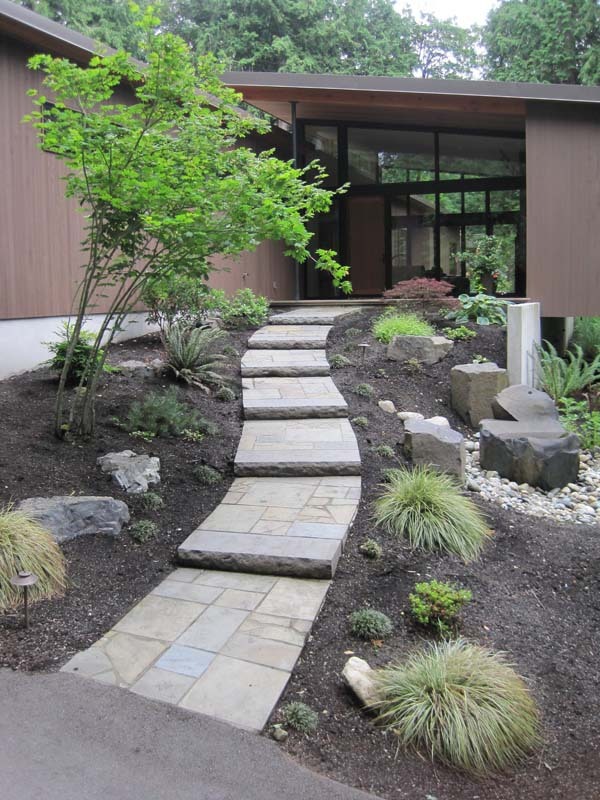 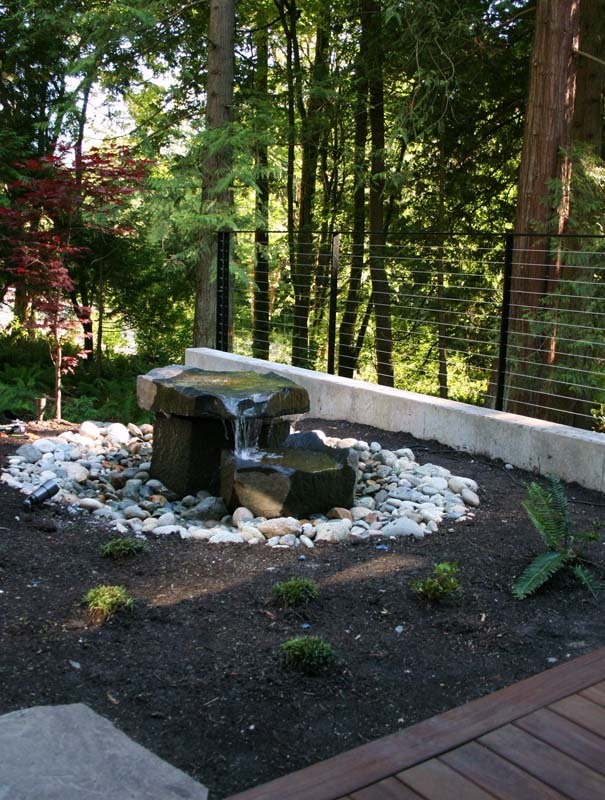 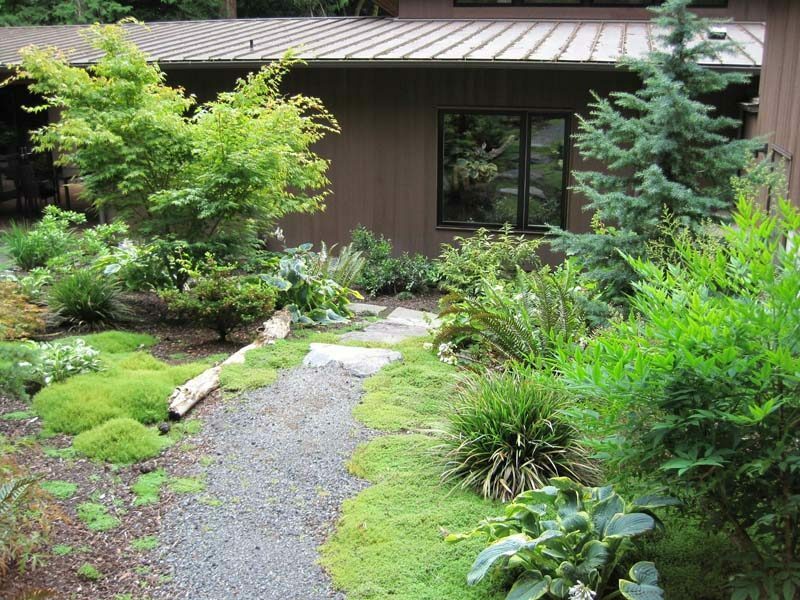 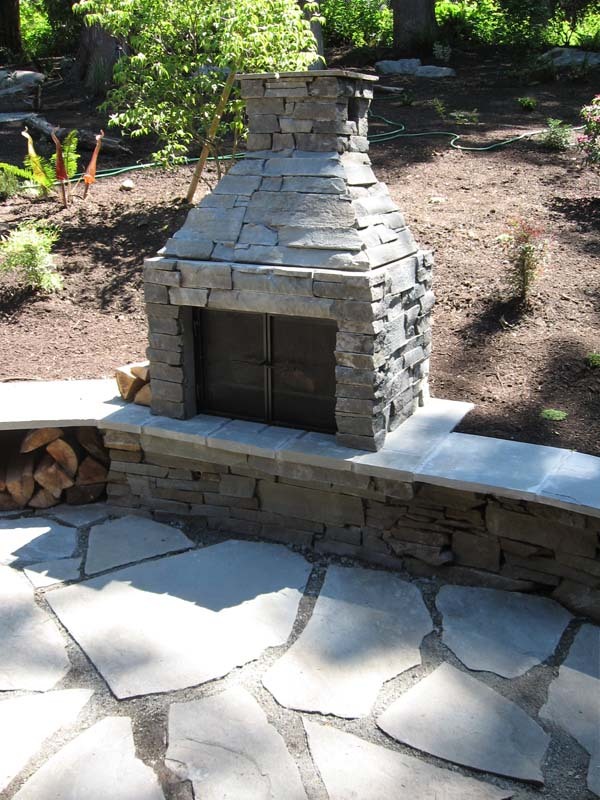 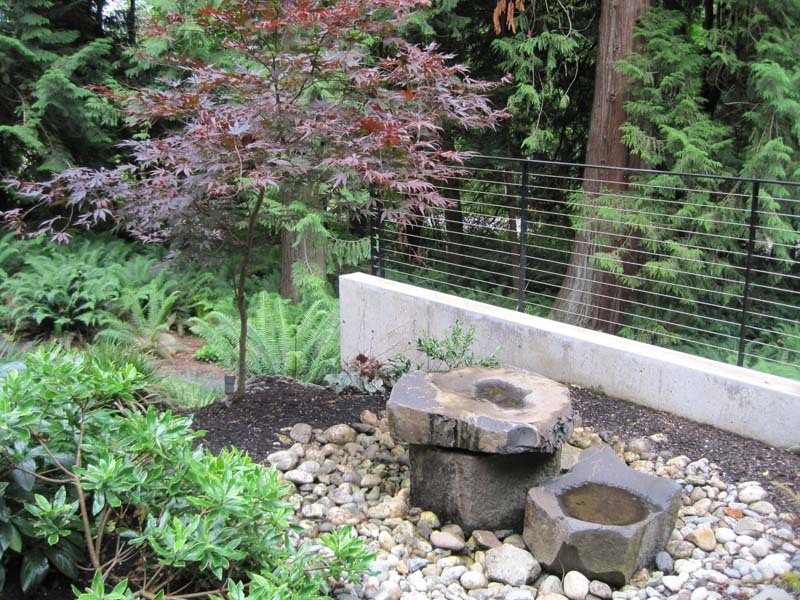 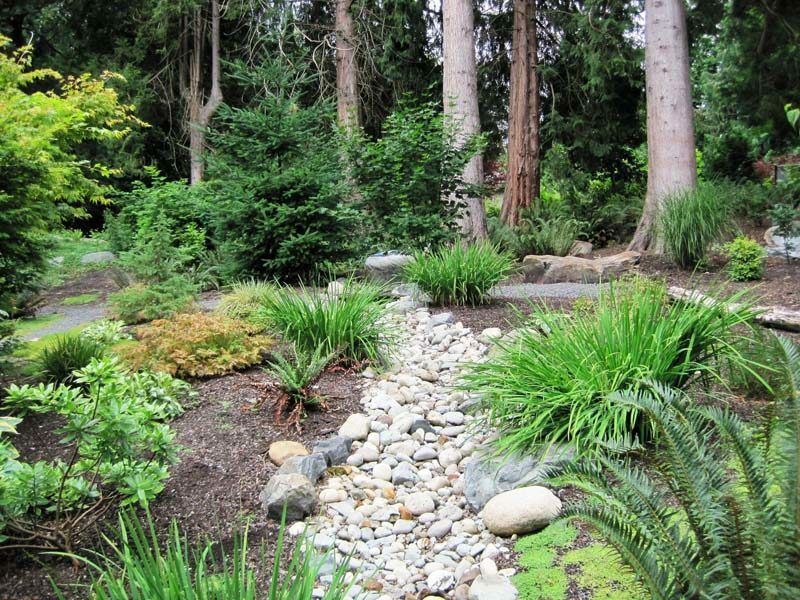 Hardscaping includes a custom fireplace, pondless water features and artistic stonework.